iPhone and Pod Touch users are now able to browse their photo albums hosted on Google’s Picasa. The search giant has released a new version of its photo sharing application, with an interface designed for Mobile OS X Safari browser. The new release is currently available only in English, so do change your language preference if you have a different setting. With the new redesigned version, users can see their own photo albums as well as albums uploaded by others, watch slideshows or search for photos, all through the tactile interface. The new release is likely to leave Windows Mobile users feeling a bit left out, as the new interface is clearly superior to what they got from Google. Then again, Apple’s devices are currently the hot items of the market. 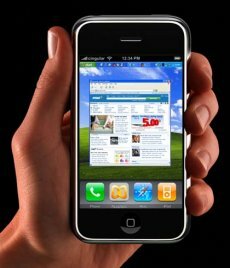 Furthermore, a study from Market Share revealed that iPhone users are bit more eager (about 3%) to surf the Web using their mobile devices than users of Windows Mobile. There is one more reason why Google would rather focus on the Apple devices for the time being. Both the UNIX -based OS X and Google’s recently announced Linux-based Android share a significant number of similarities, thus making it easy enough to port apps between the two of them. iPhone users may check out the Picasa site over here. Need To Find Someone On Facebook? Try Google!